One of the questions that face travellers is “Should I stay in a Hostel or Hotel?”. While hostels are great for traveling on a budget, meeting new people and hopping from place to place. Hotels offer a bit more luxury if you are willing to spend a little bit more. Finding the best option for those who fall somewhere in between can be difficult. 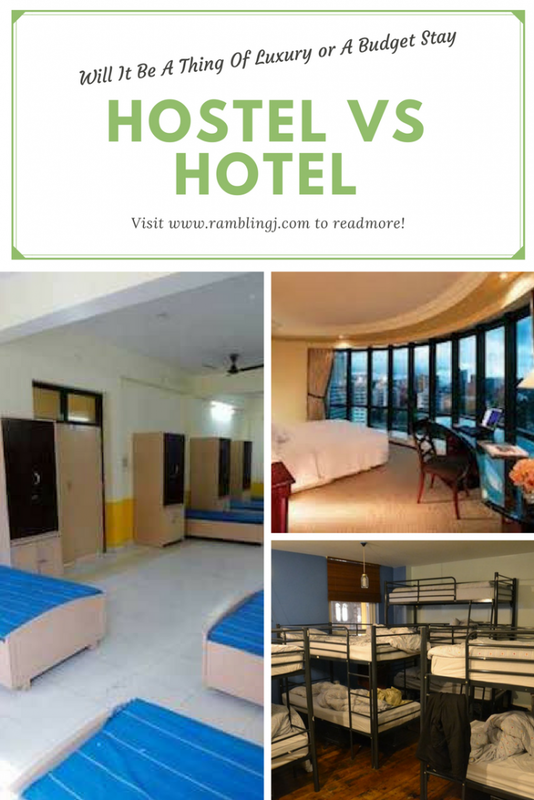 Lets compare some of the differences between hotels and hostels that may help in the Hostel Vs Hotel argument. Most hostels and hotels can be booked with booking.com and Agoda. Always check the reviews on booking.com, Agoda and TripAdvisor before booking. Hopefully I can provide you will some information that will help you find a great place to stay that’s within your budget, no matter where you go. 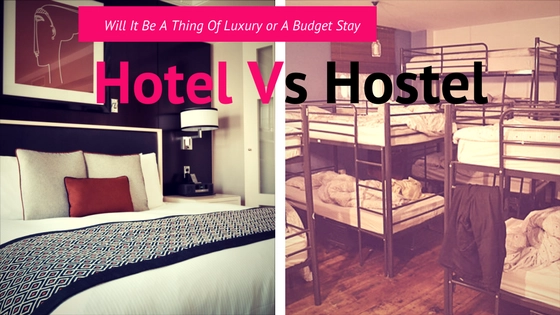 Lets compare Hostel Vs Hotel. You might think that using a hostel is something that college students do while they are traveling. However, using a hostel is not just for the college crowd and now includes people of all ages and backgrounds. If you are a traveler on a budget, staying at a hostel can be a great way to meet people who can add to your travel experience. In saying that, staying in a hostel is not be everyone’s cup of tea. 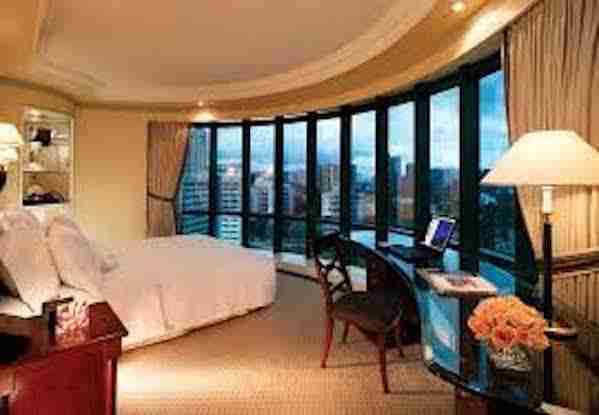 Many travelers would prefer to spend the money on a traditional hotel. Hostel traveling is best suited to those traveling alone or to young people traveling in groups. Hostels are not really recommended for families traveling with young children. In fact, many hostels do not accept children under a certain age. Most hostels are set up like dormitory rooms with bunk beds with lockers arranged in each room. The dormitory rooms may sleep 4 to 18 people. Each guest is assigned a specific bed upon check-in. Some dormitory rooms are gender specific while others are not, it depends on the country and the hostel. Make sure to ask about the this before you book or check in as this can be an issue for some people. The bathrooms in hostels are generally shared but this can differ from hostel to hostel. With some rooms containing a shared bathroom and shower, while other hostels will have shower and bathroom facilities located in the hallway. If you would prefer not to share a bathroom with strangers, make sure you ask before booking. Hostels also usually have access to discounts and coupons for local area attractions and restaurants and they can provide information on the best restaurants and hangouts around. Price is by far the biggest appeal of staying at hostels. Hostel prices can range from $3 in Cambodia to $25 in the USA. A benefit of staying in a hostels is that you will meet people who have similar interests. Another benefit of staying in a hostel is that the staff is extremely accommodating and knowledgeable about the local area. While not everyone will find a hostel appealing and the accommodation of a local hostel are simple at best, they can be wonderful option for the budget minded traveler. After all, the goal of travel is to get out and see the world, and hostel travel lets you save money on lodging so that you can do just that. Hotels offer luxuries that a hostel simply doesn’t. Will a hotel there is amenities available from the private bathroom, fitness centre, mini bar, private room and more but you great the general idea. If you are travelling for an extended period of time and staying in hotels can definitely add up. To avoid completely blowing the budget, look for offers on booking.com and Agoda and try to stay in 2 and 3 star hotels as there are generally cheaper. Good for families as hostels generally don’t allow kids. Some Hotels may up sell local area attractions and restaurants. Hotels are not the cheapest option. There are offers regularly on booking.com and Agoda that are great for discounts. Hotels prices can range from $7 in Cambodia up to $250+ in the USA. Another benefit is security, less likely that your stuff gets robbed. Always check the reviews on booking.com, Agoda and TripAdvisor before booking. If you want to travel in luxury then the hotel is for you. Hotels generally provide private en-suite rooms, with conditioning, cable TV, telephone and internet as well as access to the hotel bar. Choosing between a hostel vs hotel comes down to a few simple questions. I don’t mind sharing the bathroom and sleeping in a room with strangers? Would I be comfortable with leaving my belongings in a room with strangers, even if my belongings are locked away in my locker? Do I want to meet new people while I am travelling? If you are answering mostly yes to the above questions, then a hostel maybe a great option. On the other hand if mostly no then a hotel may suit. It ready up to you and what you are comfortable with.